by Dorset Sea Salt Co. Finest sea salt hand-harvested from Britain’s purest waters along the Jurassic coastline, which has had a long and lazy smoking session over apple oak wood chips. Due to the world famous and unique geology of the Jurassic coast, this sea salt has a very distinct mineral profile. 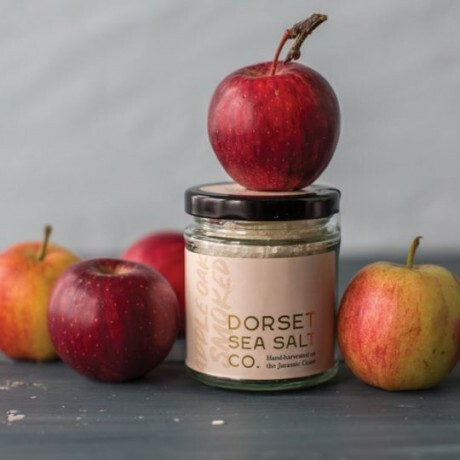 Deftly smoked to impart another dimension to food delicacy; the subtle smokey taste works incredibly on a variety of foods, but Dorset Sea Salt Co prefers to keep it simple; sprinkling over scrambled eggs or peaches and crème fresh. 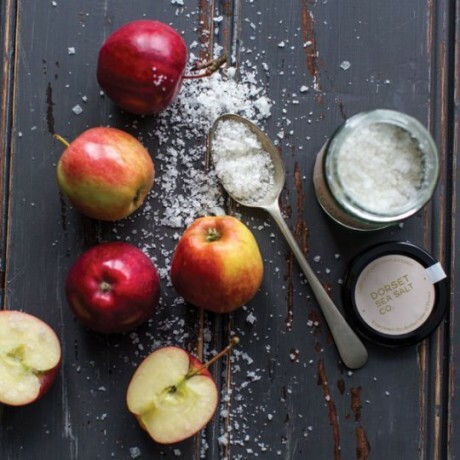 Rich with vital minerals, Dorset Sea Salt Co's sea salt is thought to be a healthier alternative to table salt which can be laden with additives and anti-caking agents. A product from the artisanal architects of the Dorset Sea Salt Company, founded in 2017. 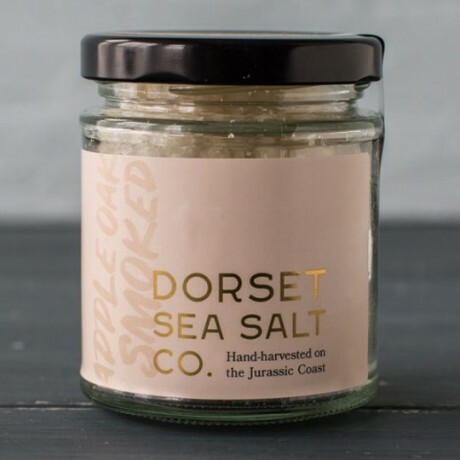 With Jethro, an obsessed sea salt lover at the helm, they aim to revive Dorset's local Sea Salt scene, providing exceptional sea salt through a combination of traditional and new production methods. Every small batch of sea salt harvested is part of their wider mission grounded in craftsmanship, locality and quality. When using this sea salt, Dorset Sea Salt Co recommend using 30% less than normal, and then work up to your taste. This is because the unique mineral composition of the sea salt flakes means that they pack a punch of flavour. This is awesome salt, I highly recommend it. This is awesome salt, I highly recommend it. Within our food business we always look for the highest quality ingredients and having tried many different salt suppliers, one taste of this salt ends the search!! Hand-harvested sea salt from Britain’s purest waters along the Jurassic coast, offering a distinct taste of Dorset.